Plastic trash bags can make good emergency rain gear. Simply tear a hole in the bottom for your head to stick out and two holes in the side for your arms. If you have duct tape you can use it to reinforce the bags around the holes. If you have to build a lean to shelter trash bags can provide waterproofing for the roof. You can make improvised foot wear out of plastic trash bags. Step into the trash bag with your stocking feet and then put your shoes on. If you have a large trash bag, they can keep you dry quite high up on you legs. Just tie them off periodically. A word of warning, they won’t breathe so you have to watch for moisture buildup, also your shoes will get wet. You can line your backpack with a plastic trash bag and it will help keep the contents dry. You can make a plastic hat to keep the rain off your head. 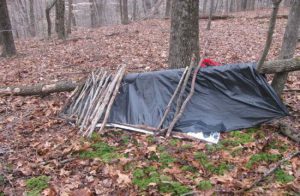 Trash bags can also be used for ground covers. Laid on the round in an improvised shelter they will protect your body from moisture. Trash bags can be used to improvise solar water stills. Placed over tree branches and large bushes plastic trash bags can be used to collect the morning dew. Trash bags can also be used to store and transport food. Blow a bag up or stuff it with dried grasses and you have an improvised pillow. They can be used to hold and transport liquid. In a county jail, I saw the inmates empty the leftovers from the coffee pots into a trash bag and save it for later in the day. Be aware that some of the trash bags are treated with an insecticide. 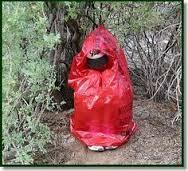 A couple of large plastic trash sacks stuffed with leaves and dried grass can make an improvised sleeping bag. They can make good shelters from the sun. They can be used to catch rain, simple lay in a hole to form a bucket. Again, be aware of possible insecticides. A colored trash bag can be used as a signal flag if you need to be rescued. 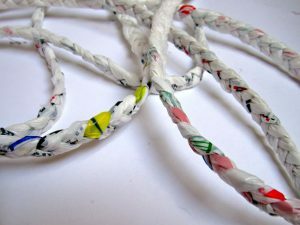 You can make lightweight cord for use around camp. Simply cut the trash bag into strips and twist several strips into cord. You can use the plastic to seal a sucking chess wound or to keep a bandage clean and dry during bad weather. You can make a improvised shower. Fill a garbage bag with some water, tie it to a tree branch or other high spot, poke a few holes in the bottom and enjoy a quick shower. A black trash bag of water laid in the sun will heat up. This can get you warm water to wash with. A couple doubled up can be used as an improvise pack to carry your gear. If you are lucky enough to kill wild game, they can be used to hang it in the trees to help keep it clean and safe from predators. These are just some ideas that popped into my mind this morning. I am sure everyone one of you can think of other ideas. Don’t hesitate to share them in the comment section. This entry was posted in medical, Self sufficiency, Shelter and tagged plastic trash bags. Bookmark the permalink. KUDO’S HOWARD ! THANKS FOR THIS. Diy boat, simple floating aid, snow sled to downhill. I could see doing that with industrial plastic bags but not trash bags. The type of heavy duty bags used to line bulk food product barrels and as a moisture barrier for items. The plastic in trash bags is not thick enough for those kinds of stresses and will shred.